Bootie Cleveland w/ Adrian A — one night only! 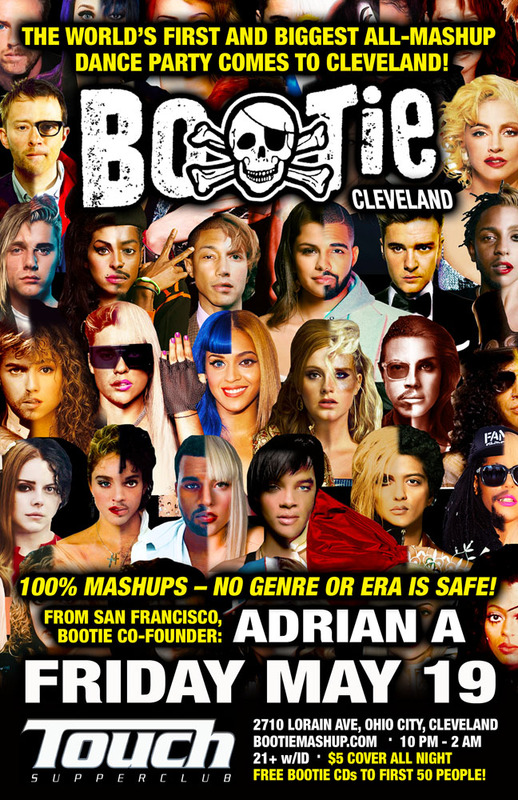 bootie-cleveland-w-adrian-one-night Bootie Cleveland w/ Adrian A — one night only! The world-famous mashup party comes to Ohio for ONE NIGHT ONLY! 100% mashups -- no genre or era is safe! Featuring Bootie Mashup co-creator (and ex-Clevelander) Adrian A. For over 13 years, Bootie – the world-famous mashup party – has been spreading mashup culture across the globe. Now the party finally comes to Cleveland for one night only! DJing this night of mashup mayhem will be the brand’s co-creator, Adrian A, an ex-Clevelander (Maple Heights, represent!) flying in from San Francisco to mix and mash the best music from every genre and era, creating new mashup songs out of music you know and love. Get ready to hear your favorites in all new ways!